There’s a legend in Michigan about the town of Singapore that may literally resurface soon. The U.S. Army Corps. of Engineers has requested an archaeological survey near the site of the former town before a developer can proceed with a marina off the Kalamazoo River near Saugatuck. 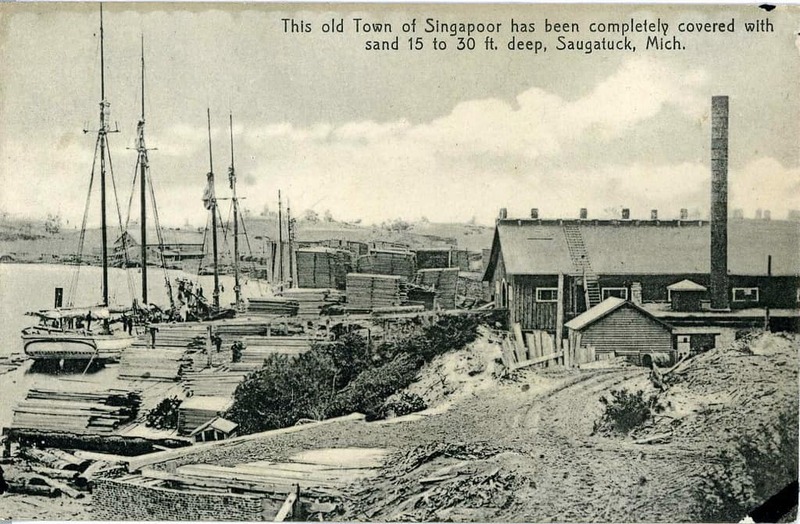 Singapore was a thriving lumber mill town in the mid-1800s and its woods helped rebuild Chicago and Holland, Michigan after big fires in 1871. The demand for wood to rebuild those cities soon stripped the area of any woods at all, and the town soon went dormant. As time went on, buildings were either moved away from the site or swallowed up by growing sand dunes. A local developer planning on adding homes and a marina to the north shores of the Kalamazoo River in Saugatuck, told MLive that the Corps. will not dig up the site of the former Singapore town. However, if the Corps. does find something of historical significance or could be considered a Native American resource, that could cause problems for future development of the site.